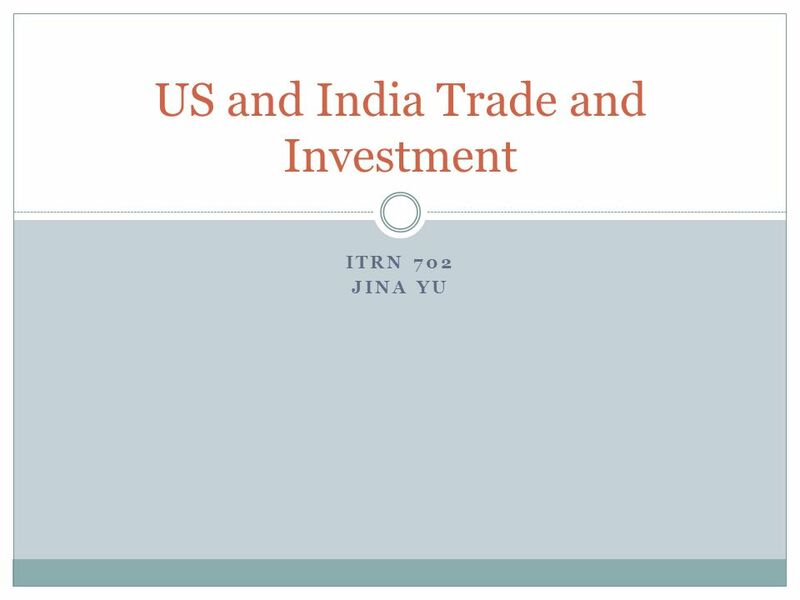 ITRN 702 JINA YU US and India Trade and Investment. 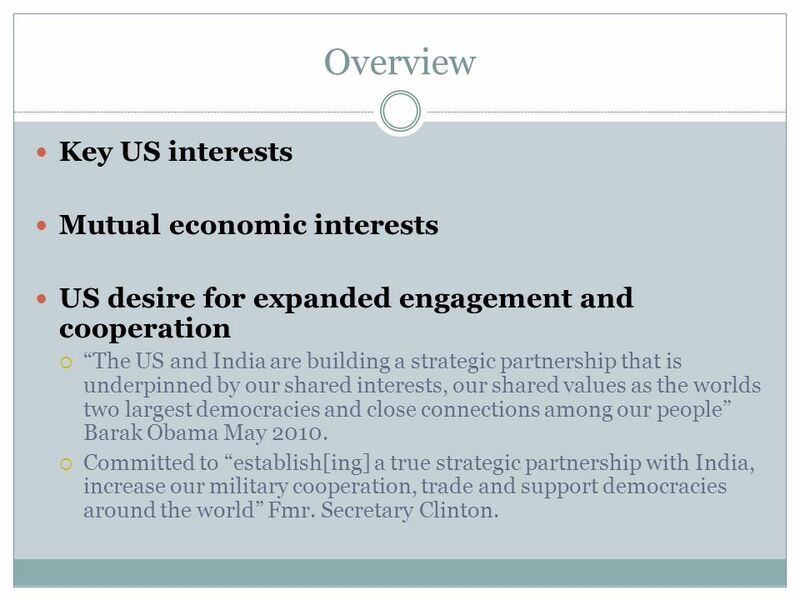 2 Overview Key US interests Mutual economic interests US desire for expanded engagement and cooperation The US and India are building a strategic partnership that is underpinned by our shared interests, our shared values as the worlds two largest democracies and close connections among our people Barak Obama May 2010. 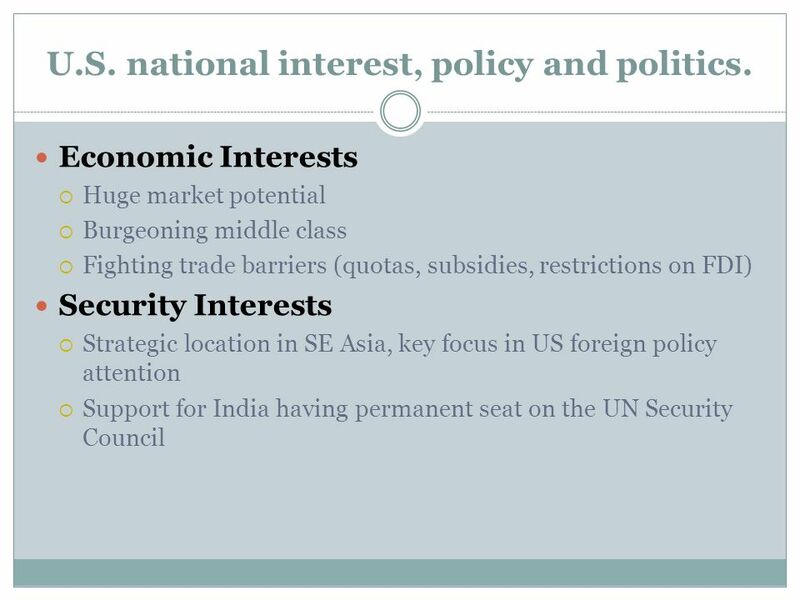 Committed to establish[ing] a true strategic partnership with India, increase our military cooperation, trade and support democracies around the world Fmr. Secretary Clinton. 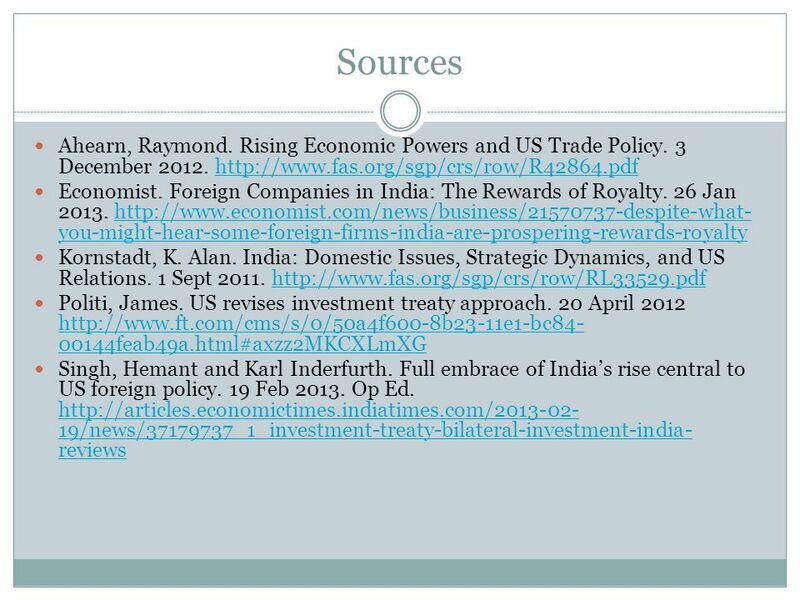 Download ppt "ITRN 702 JINA YU US and India Trade and Investment." 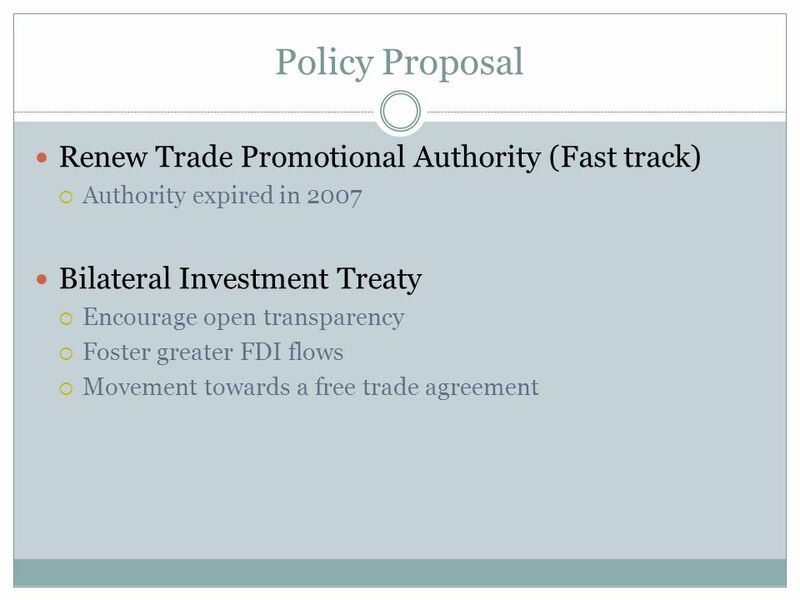 JINA YU US GLOBAL TRADE DR. MALAWER Foreign Corrupt Practices Act and the OECD. U.S. - China Foreign & Global Trade Policies U.S Trade deficit and Chinas Currency Policy. 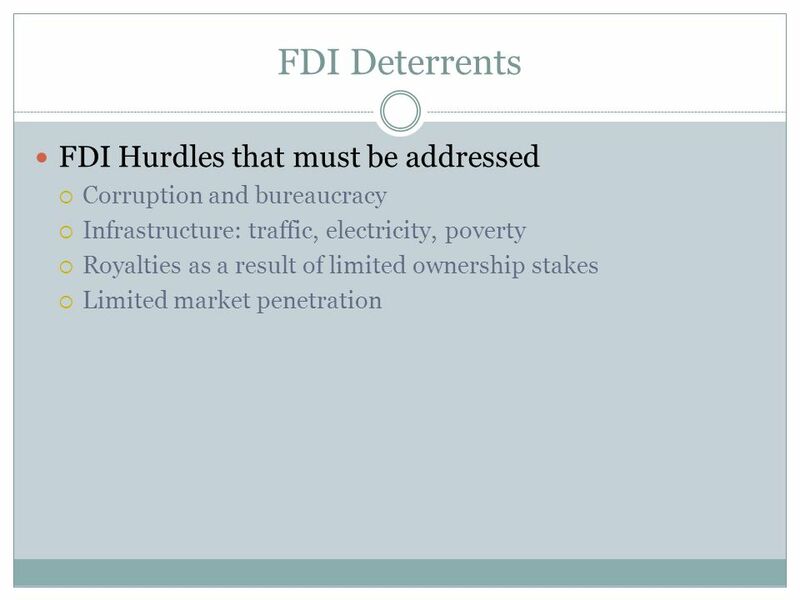 Regulating & Promoting FDI in the USA Katie Praske ITRN 603 U.S. 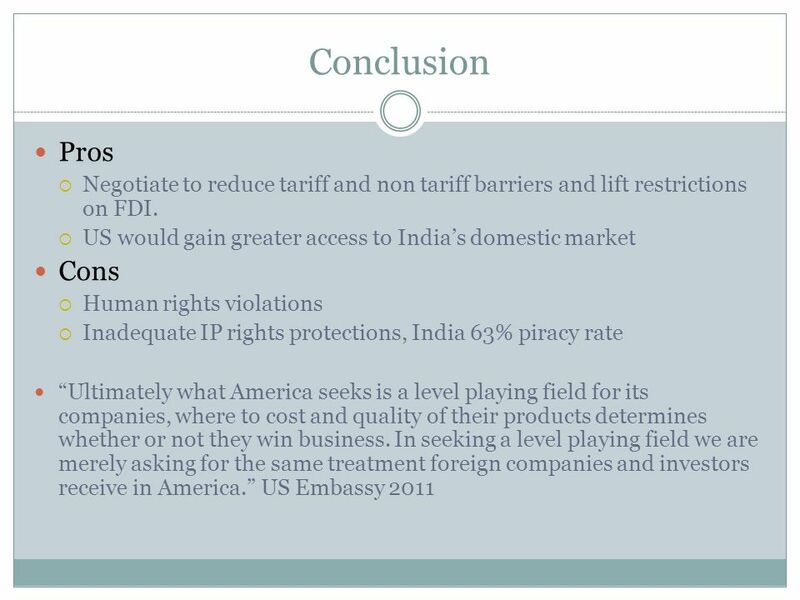 Legislation, Extraterritoriality & Global Competitiveness April 17, 2013. Future Regional Integration: Possible Trajectories Economic Cooperation Between China and South Asia -Hari Roka. Nefferitti Dieng, MBA. KENYA Import licensing controls dismantled in 1993 Small number of health, environment, and security imports required Requirements. The New Economic Policy Consensus Session 1 Professor Dermot McAleese.